LONDON • Chelsea forward Eden Hazard has paid tribute to Cesc Fabregas, saying that he was "lucky" to have played with the Spaniard ahead of the midfielder's move to French Ligue 1 side Monaco. Fabregas shared an emotional moment with the Stamford Bridge faithful after Saturday's 2-0 FA Cup third-round win over Nottingham Forest, applauding all sides of the crowd while he was also in tears. The 31-year-old, who joined Chelsea in 2014, will reunite with former Arsenal teammate Thierry Henry, who is now the Monaco coach. "In five years, I can say that I was lucky to play with him," Hazard said. "Since the beginning when he came, we saw with the first year we won the double together. "Top guy on the pitch, off the pitch, a great friend of mine. Major trophies Cesc Fabregas won as a Chelsea player. "Just admiration about this guy. I hope he will have a good future. It's a bit hard now, but he's still very good and he will enjoy." When asked what Fabregas had given Chelsea, Hazard added: "Everything." 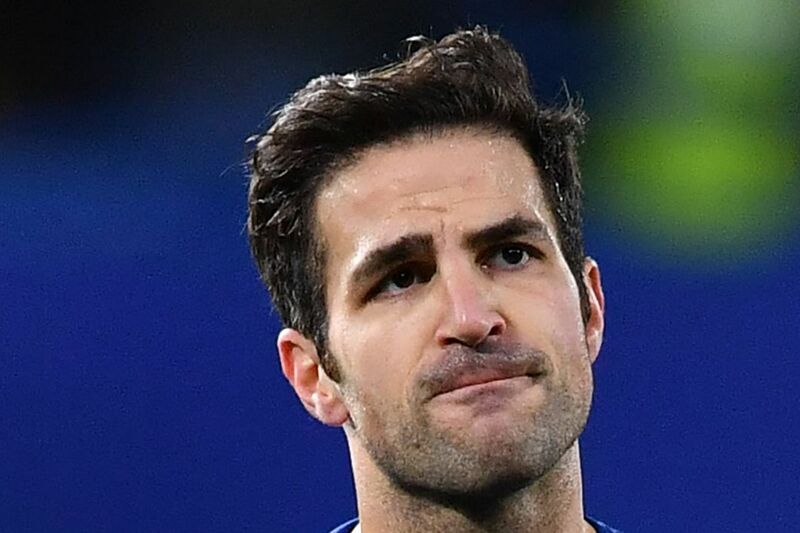 Fabregas moved to the Blues from Barcelona two years after Hazard arrived from Lille. The duo have won two Premier League titles, one League Cup and one FA Cup during their time together. Chelsea assistant coach Carlo Cudicini also hailed Fabregas as "one of a kind". "What can I say about Cesc? He is a player who is unique, he has an unbelievable awareness and vision of where his teammates are on the pitch," the former goalkeeper said. "I think he is one of the few who have the ability to give balls behind the defensive line that are so precise. "He is a one-of-a-kind player. He has been fantastic for the teams he played for before us and the contribution he has given this club and to this team has been amazing. Cesc is a top, top player." Cudicini added that Alvaro Morata's two goals in the win over Nottingham Forest would "free his mind" after a lean spell for the Spanish striker. Morata struck twice in the second half, his first goals in domestic competition for two months. "It was very important for him to score two goals which can only be good for his confidence. Hopefully, it will be good for his morale that he scored and, hopefully, he will be more free in his mind," Cudicini said. "For a striker, it's difficult when you go through a spell when you don't score many goals, so his body language was a bit down but, in training, he's working very hard. "We all knew that sooner or later, he would be able to turn the corner and start scoring goals."